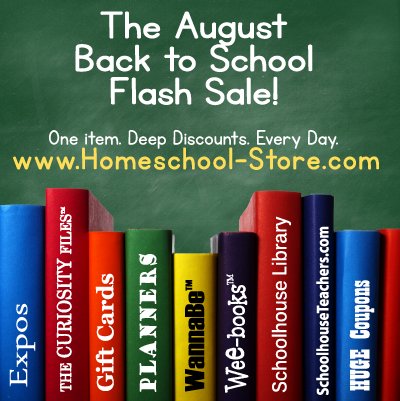 The first ever "Build Your Bundle" - Homeschool Edition sale is almost here! Not interested in entering the giveaway, but you want to be reminded when the sale goes live? They will send you a reminder email! Click here and enter your email address and click "Remind Me!" Save money, strengthen your marriage, and streamline your schedule using our Mom Bundle. Find the encouragement you need and the insight to speak to your child’s heart (even that difficult child!). Whip your home into shape and train your children to do their chores effectively using a popular book "chores program". Hey guess what.. Lisa-Jo is on a break so the FMF link is in a new place! Crystal is hosting. You can find her here. This week the word is Belong.
. Q. What is your only comfort in life and death? Taken from Heidelberg Catechism Lord's Days. That about sums it up you know. I am not my own, I belong. This odd ball person who never feels like she fits in anywhere. I belong as a mom... because I have a boy child...and that whole process was a struggle in and of itself. I belong as a homeschooler... and yes, homeschooling is a choice...but I belong with a great group that chooses to let me belong with them. I belong as a member of the invisible church, the church of the Lord God because HE chose me....even before I was born he chose me. He loves me with a deep passion, and this love he has for me came out in the movie I watched last night called Ragamuffin (yes, watch for a review). BUT I BELONG. He chose me. He holds me. He won't ever let me go. That's just the way it is. He paid for me with lifeblood that so I would belong to that invisible and yet visible body of believers. Isn't that just the coolest thing to know? To have that sense of belonging? "Mom?" goes my son as we figure out how to plan our day. I'm mentioning what I think we should accomplish. After I list off my thoughts he asks. "Can I do Veritas Press instead of science and math today? Can I mom?" As I hesitate saying "Well... I don't know, you need to do your science and math too." My boy beseechingly adds "BUT MOM.. I LIKE Veritas Press. It's funny and I like it mom. PLEASE.....". Over the past few weeks we've been reviewingSelf-paced history from Veritas Press. It has turned into one of our favourite programs to use. :) Come with me as I waslk you through using the program. When your student is logged into the history program, you'll see this screen. Most of the time we just clicked the blue button which opened up a whole new screen. It took us a bit of time to figure out that we needed to approve pop ups from Veritas Press for this to work. Our other option, when we wanted to see where we would be going next was to click the assignments button which is under the VP logo. Doing so would lead us to this page. Here you can see how you are earning the grades you are earning, what course you are on and what assignments are coming up. Because it is self-paced history it means that you can take your time going through it. Each lesson is covered in five lessons (with a test at the end). Lessons can be done again, but grades don't change. During the lessons (we did Middle Ages) you will meet your instructors (one of ours was a gargoyle) and various ways to test your knowledge. The gargoyle frequently makes us laugh. At the end of the lesson you have to option of completing additional work, using books found in the library, we did not exercise our option to do this. We did read through some of the materials, but the lad was totally uninterested in it. In the mix of the lessons there are a variety of games for the children to enjoy. To do well in the games you would need to answer questions in order to give yourself a boost over the computer, or to give yourself more time to complete the game and so forth. Most of the games my son enjoyed, there was one that he disliked. The sea monsters and boat game he enjoyed immensely. And every five lessons there is a test! The lad gets rather anxious about taking tests so I'm glad these are fairly low key and come after lots of quizzing throughout the lessons. It's nice to have the option to save and print off for records if needed. Included in Veritas Press are Flashcards. It took a while for them to get here and I thought by the time they got here the lad would not be interested in them since the cards are shown during the video lesson time as well. I was wrong. My son was quite interested in them and refers back to them especially since I told him all the information you are tested on is on the back of the cards. The cards are well made and informative. They came with an orange piece of paper which pointed out all the unique things about them. That paper seems to have completely vanished from my house, so bear with me as I go through some of our highlights with the cards. I should mention as well that on the back of the cards they list a number of resources. These are things my son likes about the cards. The positives of using self-paced history from Veritas Press. Short, easy to understand segments. Starting off with a test that my son basically failed almost put us off the program all together. "MOM! I don't know any of this stuff! Mom! It thinks I'm stupid now!!! Mom. I can't do this. I can't". (complete with tears). The song is very long. I personally don't have an issue with this as I like singing along with it, but my lad is getting tired of it's length. I just tell him it's great review of what he's learned and of what is coming up and keep singing along and before long he's trying to sing with me. MAPS. I want maps on flashcards (so does my son). He wants to be able to look them up and see where these places are instead of having to try to memorize them after one or two views during the lesson. Too many places to remember he says. Having a map would be an aid to his memory (and mine). The word scrambles... making them so they weren't timed would be a huge benefit. They caused too much struggle and I found them difficult (much less an eight year old). Product: One year of the Veritas Press: Self Paced History. Age Range: Grades 2nd-6th. They recommend minimum age of 7 on the first day of class. Veritas Press can be found in a variety of mediums. Facebook. Twitter. Pinterest. and Google+.